Quiet Skies, an anti E.H. airport special interest group, has attacked the veracity of Montauk United and its efforts in defending the interests of Montauk and its citizens. In order to separate relevant fact from insinuation, the following is the basis for Montauk United involvement. Both Montauk and the anti EH airport special interest groups have the same goal: to provide protection from the horrendous problem of increased helicopter traffic. The difference is the special interest groups already have the problem and are attempting any and all ways to rid themselves of it. The groups have spent huge amounts of time and money in lobbying the EH Town Board to restrict helicopter flights at the EH Airport. Conceding to these efforts the Board passed legislation limiting EH helicopter activity to one landing per helicopter per week, an action that would reduce overall helicopter activity by 85% or over 3,000+ flights per year. After Town Board spending of over $2 million dollars in legal fees in support of the above legislation, for whatever reasons, the legislation failed judicial sanction. As quoted by the Town Supervisor, the legislation “is dead and over.” Within a month of its failure, the special interest groups , again in unanimous conjunction with the Town Board, are hard at work exploring alternate methods to restrict helicopters at the EH airport. Included in these alternate strategies is a special interest group effort to close the entire EH airport facility thereby tremendously increasing the number of both fixed wing and helicopter flights that will be diverted to other airport destinations. Montauk United’s concern is that all of the above Town Board and special interest activities ignore and fail to address the social and economic implications the restricted helicopters will have on Montauk if they succeed in their efforts. . Whether intentional or not, premediated or unplanned, their restriction strategies are not solutions but merely a transfer of a serious problem from one part of East Hampton to another. The only result being a EH special interest problem will instantly morph into a Montauk problem. When queried in a MU sponsored telephone poll, over 30 Long Island aviation professionals , when assessing the issues, overwhelmingly agree that if commercial helicopters were denied access to the EH Airport, Montauk would be their favored alternate landing destination. Professional pilots presently flying the actual commercial helicopters to EH airport also agreed they would favor Montauk. Most importantly, executives and owners of the commercial helicopter companies presently servicing EH airport (the very same group causing the problems) also agreed they would transfer helicopter flights to Montauk. While all of the above professional groups clearly favored East Hampton Airport, Montauk would be their chosen alternate destination if not permitted access. The Montauk alternative is a fact, not a guess, not a supposition and certainly not a means to confuse agitate or mislead the people of Montauk. It is a clearly stated factual course of reaction to any future helicopter East Hampton flight restrictions as stated by industry professionals. Who really is misleading the public? Quiet skies along with other anti-airport special interest groups have constantly claimed an East Hampton following/-membership of thousands (plural) of people. Montauk United believes, special interest E.H. citizen support is far smaller and consists mainly of property owners living in areas near the airport. MU believes they have inflated their numbers through the inclusion of other Long Island villages and towns that are affected by like helicopter problems. The primary responsibility and obligation of the EH Town Board is to the legitimate citizens of the Town of East Hampton of which Montauk is a far larger citizen segment and economic base than the entire anti-airport special interest groups combined. 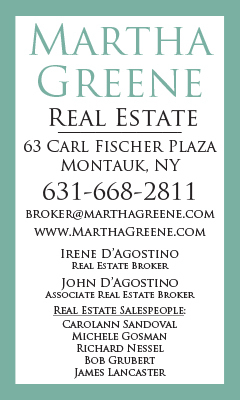 Montauk United can readily provide proof of its own 2,400+ Montauk citizen membership and the additional thousands of Montauk citizens who are a legitimate part of the East Hampton Town voting base that will be negatively affected if the Board continues on it present helicopter restrictive course. Montauk United challenges Quiet Skies and the other special interest groups to verify the legitimacy of their claims. Real people, actual certifiable citizens; the legitimate voting public of the Town of East Hampton, not mechanically produced mass robotic letters of complaint, dubious statistics or the inclusion of foreign population bases with no legal, moral or civic attachment to the Town of East Hampton. MU is very much aware and concerned of the plight and problems the above special interest groups are experiencing. No matter the size of the group affected, the noise issues are enormously invasive and incredibly tragic that no one should have to experience. They have every right to and deserve effective relief from their airport problems. 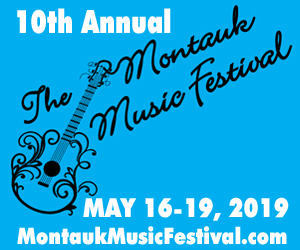 Montauk United and the people of Montauk pledge unconditional support in any and all efforts at finding a solution. However, it must be an honest and far solution, not a transfer, and certainly not a political strategy that aims to turn an East Hampton special interest problem into a Montauk problem. 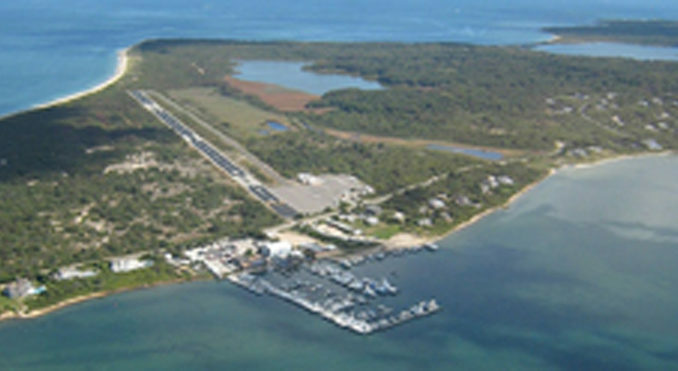 In terms of airport issues, Montauk United believes the best interests of the citizens of Montauk, a legitimate part of the Town of East Hampton, have been ignored and ill served by the present Town Board in favor of these small special interest groups who have the money and power to demand their wishes be met. Montauk United will take significant electoral action in the coming weeks to unite its membership and the entire voting citizenship of Montauk in expressing their anxiety and concern. Montauk United will communicate, and share with all its citizens all relevant candidate responses in determining their position and commitment in assuring that the citizens of Montauk receive the same respect, attention, and protection that every and all citizens of the Town of East Hampton are entitled. Citizens of Montauk, talk to your friends and neighbors, encourage them to participate and support our united cause at MONTAUKUNITED.ORG.